Pavlina Nikita (full name: Dimitra Pavlina Nikita) is a Lecturer in Education Studies and Early Years at Nottingham Institute of Education (NIE). In her capacity as a lecturer, she is involved in a range of undergraduate modules, supervision of undergraduate and postgraduate students and research activities at NIE. 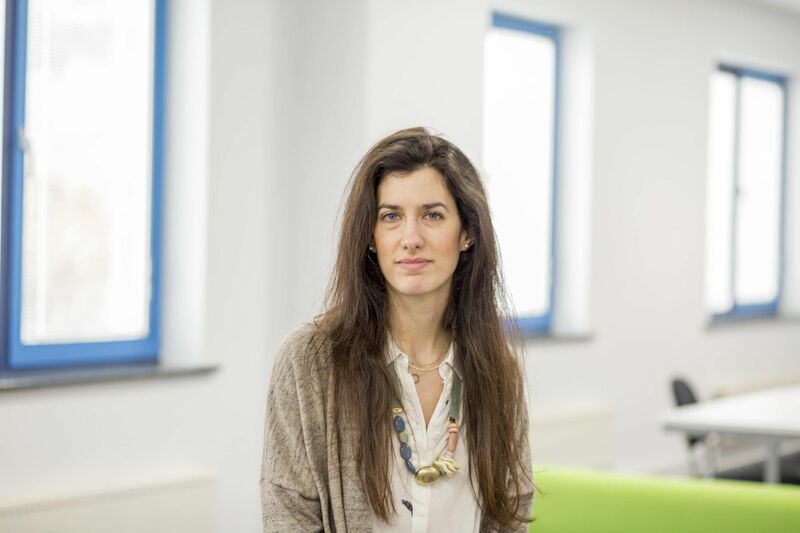 Her aim is to enable her students to develop a critical approach towards teaching and learning, and to feel empowered to embrace and instigate change within a global social context. Pavlina joined NIE in 2018. She previously worked as a teaching fellow on the BA (Hons) Education Studies programme and a research assistant at UCL Institute of Education (UCL IOE). Prior to that she was involved with a number of doctoral courses at UCL IOE as a curriculum developer and facilitator. Pavlina completed her PhD at UCL IOE under the supervision of Professor Stephen J. Ball. Her project focused on academies and was looking at changing modes of governance (i.e. markets and networks of policy making) from the perspective of public administration, as well as exploring new tools of governing the people employing a neo-Foucauldian approach (governmentality). Pavlina has an extensive working experience as a teacher in Early Years and Primary Education in England and Greece. Pavlina is interested in collaborative projects and eager to explore opportunities for collaboration within her areas of expertise, including: education policy and politics within a global context, governance, new philanthropy, markets and policy networks, governmentality, professional identities, school leadership, methodological innovations. Nikita. D. P. (2017, September). ‘Let’s get networked’: network governance, policy networks and discursive communities. Paper presented at the 11th Pan-European Conference on International Relations "The Politics of International Studies in an Age of Crises", Barcelona, Spain. Acuna, F., Avelar, M., Nikita, P., Ortiz, J., Peruzzo, F., Salinas, F., Wenham, L. with Ball, S. J. and Collet-Sabe, J. (2017, July). Parents actions against primary SATs: rationales, actions and implications. Paper presented at ERNAPE-ROEHAMPTON conference “Intensification, constraint and opportunity: changing roles for parents, schools and communities. Addressing equity and diversity issues”, London, UK. Nikita, D. P. (2017, June). Network-ing the education reform in England: from corporate supporters to organic partners. Paper presented at Kaleidoscope conference “Spread the world: Steps towards an international community of educational research”, Cambridge, UK. Nikita, D. P. (2016, June). Reflections on the ‘crowded’ domain of education policy in England: new governance, new experts, new knowledge. Paper presented at IOE Sociology Section Summer Conference “People, Power, Policy”, London, UK. Tsakiris, D., Smyrni, S. Nikita, D.P. (2015, September). Teacher training and the case of International Baccalaureate Organisation: the emergence of a new teacher’s professional identity in light of new modes of global governance in education. Paper presented at ISNITE 3rd International Symposium, Volos, Greece. Tsakiris, D., Theochari, I., Nikita, D.P. (2015, September). Policies In The Pursuit Of ‘Elite And Excellence’: Delineating The Educational ‘Imaginary’ Of Parents And Teachers. Paper to be presented at ECER Conference “Education and Transition - Contributions from Educational Research”, Budapest, Hungary. Tsakiris, D., Nikita, D.P., Logiotis, G. (2014, September). “The emergence of the global student elite: what can we learn from IB schools?”. Paper presented at ECER Conference “The Past, Present and Future of Educational Research in Europe”, Porto, Portugal. Nikita, D.P., Tsakiris D. (2013, September). “Greece in the Globalised Education Context: a study of the Greek Daily Press in relation to the PISA Programme”. Paper presented at ECER Conference “Creativity and Innovation in Educational Research”, Istanbul, Turkey. Nikita, D. P. (2010, May). “The Cultural Sensitivity of Teachers of Primary Education in the Prefecture of Argolida,Greece”. Poster presented at CiCe 12th annual conference “Lifelong Learning and active citizenship”, Barcelona, Spain. Tsakiris, D., Nikita, D.P. (2017). PISA in the Greek daily Press: the social significations and the relationship between the Greek society and the global education policy field. Educational Journal of the University of Patras UNESCO Chair, 4 (2), pp.58-69. Ball, S. J. and Nikita D. P. (2014). The global middle class and school choice: a cosmopolitan sociology. Zeitschrift für Erziehungswissenschaft, 17 (3) Supplement, pp.81–93. Avelar, M., Nikita, D. P., Ball. S. J. (2018). Education Policy Networks and Spaces of ‘Meetingness’: A Network Ethnography of a Brazilian Seminar, In Verger, A., Altinyelken, H. K., Novelli, (eds), Global Education Policy and International Development, 2nd edition. London: Bloomsbury. Pavlina can offer comment on issues relating to education policy and politics in England and abroad; academies; the involvement of new philanthropy in education; the status of teachers and teaching; school leadership.